Wounding a zebrafish tail fin triggers a wave of calcium (the blue here is a low calcium area; the red, high calcium) that signals damage and recruits neutrophils. Scientists at the Sloan Kettering Institute are learning what drives immune cells to sites of infection and tissue damage. The results help explain some confusing clinical findings. Every second of our lives, we are assaulted by a barrage of microbes that can make us sick. That we don’t fall ill more frequently is a testament to the effectiveness of our innate immune system in deterring these enemies at the gate. 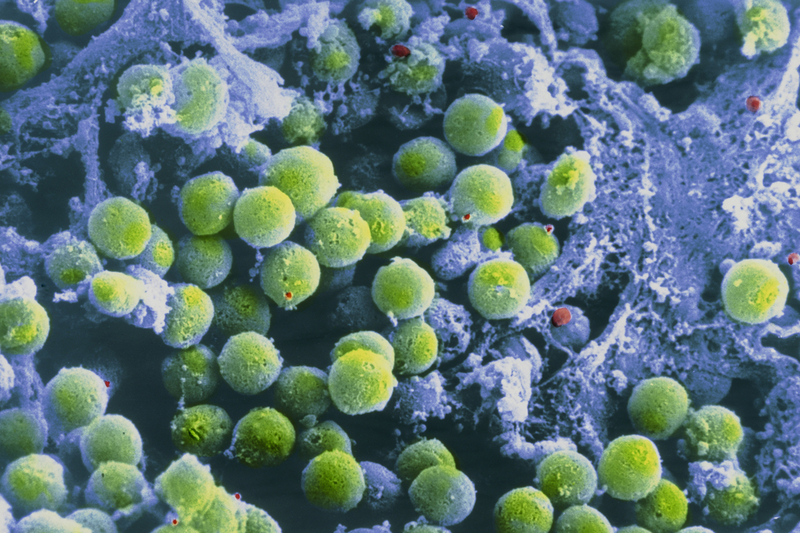 The innate immune system consists of the defenses we’re born with to fight infections. Typically, the first innate actors to respond to signs of trouble are the white blood cells called neutrophils. These skilled microbe hunters swoop into the area and begin releasing toxic chemicals while also gobbling up pathogens. But neutrophils don’t respond only to infections. They also swarm to damaged tissue that’s unrelated to an infection, such as during a heart attack or stroke. Rather than help in these situations of sterile tissue damage, neutrophils actually make matters worse; they cause more tissue damage and delay healing. That was the question that cell biologist Philipp Niethammer and colleagues at the Sloan Kettering Institute set out to answer in a recent set of experiments. From an evolutionary perspective, it's really puzzling why sterile tissue damage attracts neutrophils when they don't actually help the organism recover. To find out what difference damage makes, they essentially had to do just one experiment: take away tissue damage signaling and see if antimicrobial functions or the recruitment of neutrophils were impaired or not. But that is easier said than done because, in most cases, infection also causes tissue damage. To disassociate these two components, Dr. Niethammer and Cong Huang, a Weill Cornell Medicine graduate student, turned to their favorite model organism: the zebrafish. This small freshwater fish has some uniquely attractive features from a scientific point of view. Its immune system is very similar to humans’, and zebrafish embryos are completely see-through, so researchers can watch the movements of cells in the body without cutting the fish open. From previous experiments, the team knew that tissue damage in zebrafish — such as what occurs in a banged-up tail fin — results in a characteristic bloating of the cells, as fresh water rushes into the breach. (The water moves to balance the amount of salt inside the fish and outside.) Preventing this water influx by changing the water’s salinity meant the cells didn’t bloat, and the fish didn’t know they were damaged. This condition permitted the team to watch what happened when infectious bacteria took hold in the fish embryos when there was no associated damage signal. To discern neutrophil movements, the team used a visualization technique called intravital microscopy. The process essentially makes a movie of the action taking place beneath the skin. Dr. Huang injected bacteria into the ear canal of the zebrafish embryo and then used intravital microscopy to follow the neutrophils. They performed this experiment thousands of times, making thousands of movies. Then they merged them together to create a composite of neutrophil movements. “Altogether, Cong did around 10,000 of these injections,” Dr. Niethammer says. “It’s probably the largest hypothesis-driven intravital imaging study on white blood cell migration conducted to date. A large community of Memorial Sloan Kettering researchers is pushing the limits of immunity science. Understanding immune cell recruitment to sites of damage or infection is important for a variety of diseases, including cancer. The immune system plays a Janus-faced role in cancer, both helping eliminate cancerous cells and also creating local conditions in tissues that are supportive of tumor growth. Tipping the balance toward tumor elimination requires understanding more about how immune cells reach these areas and what they are doing once they get there. Some studies have suggested that neutrophils are actively recruited to the wound a growing tumor makes. Once there, they may contribute to the cancer’s progression. In some cancers, such as melanoma, the presence of neutrophils around the tumor correlates with a poorer prognosis. The results were published today in the journal Immunity. This research was supported by the National Institutes of Health (NIH) and National Institute of General Medical Sciences grant R01GM099970, an American Asthma Foundation Scholar award to Dr. Niethammer, MSK’s Functional Genomics Initiative, and the NIH and National Cancer Institute Cancer Center Support grant P30CA008748.